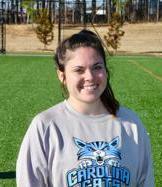 Alyssa Corace is the Carolina Cats 3-5-5th grade team head coach. She grew up playing lacrosse on Mahopac, NY where she earned High School All-League accolades all three seasons on varsity. She continued her playing career for four years at the D2 school Catawba College. Throughout her career at Catawba, she was First and Second Team All-SAC. Coach Corace is excited to share her knowledge and lacrosse experience with our girls. Our 6-7-8th grade Carolina Cats program is directed & coached by Kayla Miles. 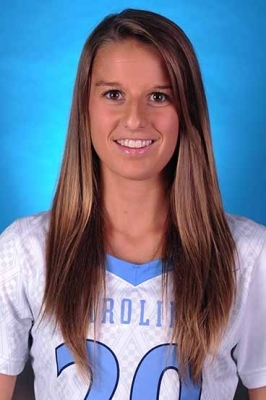 A 4-year letter winner at University of North Carolina (2014-2017), Kayla accolades include 4x ACC Scholar-Athlete, ACC Top Six for Service Award Winner (2017), 2x ACC Championship (2016 & 2017), NCAA Division I Women’s Lacrosse National Championship (2016), Member of nation's top-ranked incoming freshman class by the Tar Heels for the 2014 season, named by Inside Lacrosse, Selected as the first recipient of the Carolina Blue Honors Fellowship and a High School All-American at Immaculate Heart Central HS (Watertown, NY); when not coaching the Carolina Cats, Kayla leads the Charlotte Style '22 team.